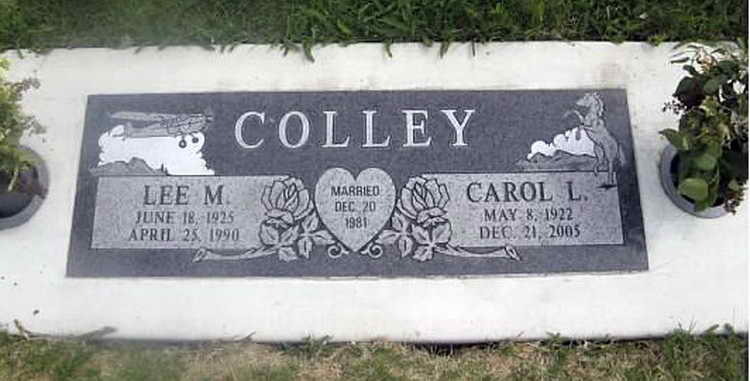 Grave marker for Lee M. Colley in the Moscow Cemetery, Moscow (Latah county), Idaho. Lee enlisted in the Army at Ft Lewis, WA on 30 March 1944 and was a member of Company B, 508th PIR. Pfc Colley was discharged on 2 June 1946.